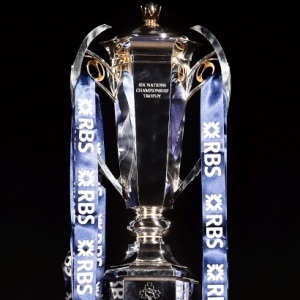 London - Friday night rugby in Cardiff is set to become a feature of the Six Nations Championship after officials announced the fixtures for the 2016 and 2017 editions of the tournament on Wednesday. The 2015 Championship kicks-off on Friday when Wales face England at Cardiff's Millennium Stadium ahead of the old rivals clash at Twickenham in the World Cup later this year. Friday night matches have proved controversial with some British-based fans in particular because of the difficulties travelling to and from grounds amidst commuter traffic, with Six Nations fixtures traditionally played on a Saturday afternoon. However, organisers are convinced Friday night rugby is a television-ratings winner and France will visit Cardiff on Friday, February 26, 2016, with Ireland making the journey to the Millennium Stadium on March 10, 2017. With fixtures between countries alternating on an annual home and way basis, England will face Wales at Twickenham on March 12 next year. The opening weekend of the 2016 Six Nations, the first after the 2015 World Cup, will feature a Calcutta Cup between Scotland and England at Edinburgh's Murrayfield ground in the latest edition of rugby union's oldest international match.